The victim's family will name Amber Guyger and the city of Dallas as defendants in the lawsuit. DALLAS — The family of a 26-year-old black man who authorities say was fatally shot by a white Dallas police officer after she mistook his apartment for her own intends to file a federal lawsuit claiming excessive use of force. 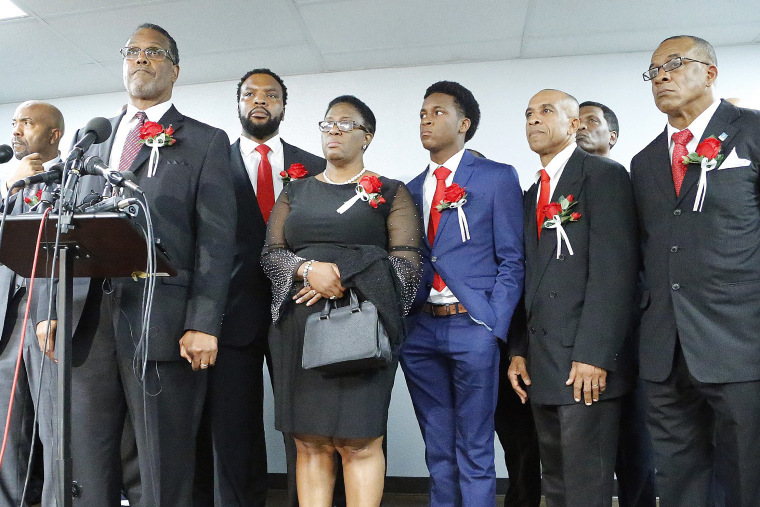 Attorney Lee Merritt said Wednesday that Botham Jean's family will name Amber Guyger and the city of Dallas as defendants in the lawsuit. Merritt didn't say when the lawsuit will be filed. Guyger told investigators she had just ended her shift on Sept. 6 when she returned to her apartment complex, but she went to the wrong unit. The door was ajar and swung open to reveal a figure in the dark apartment. Investigators say Guyger drew her service weapon moments later and fired twice, striking Jean.